Show me your mixed materials bikes! It was the first Lefty all-road bike that Firefly built. Shortly after they built this one, they built an all-ti one for Jamie, and I've seen at least one other on the interweb (the Klein fade homage). I missed D2R2 last year, but wow that bike looks the business! Very unique and creative. Interesting, nobody with a BMC race master, derosa planet, cinelli spirit??? 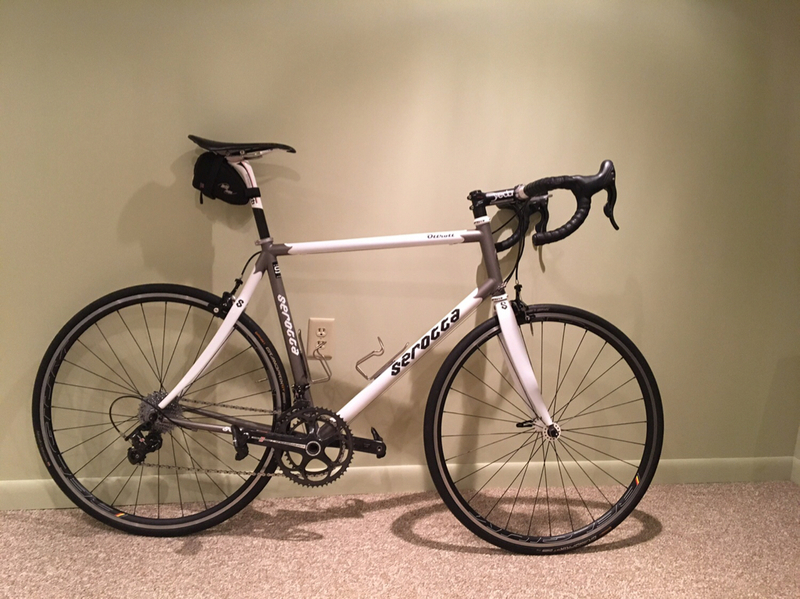 My 2004 aluminum/carbon Wilier Alpe D’Huez with Record/Chorus 10 and Zipp 303’s. 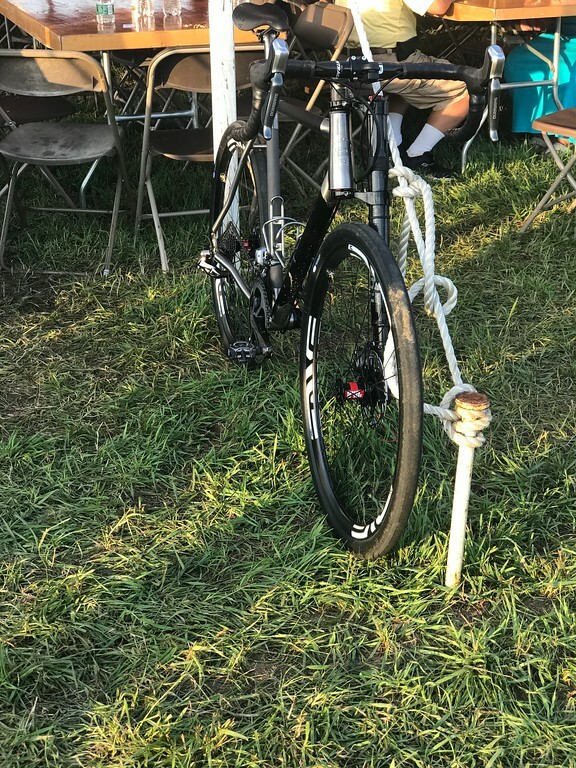 They sporting a new set of Vittoria Open Pavés from Campyguy and handled very nicely on a gravel ride yesterday. Man that's cool! 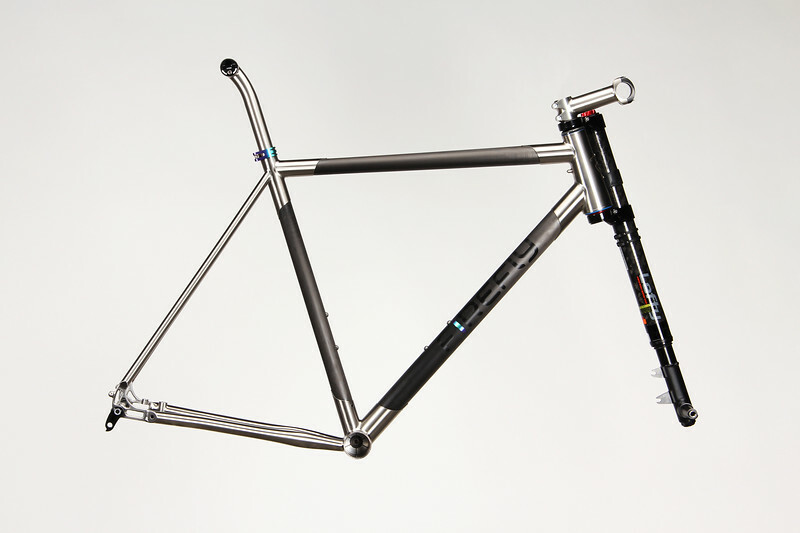 I've considered throwing my spare lefty on my TwinSix titanium Rando just for grins, but haven't yet. Your Firefly looks awesome. 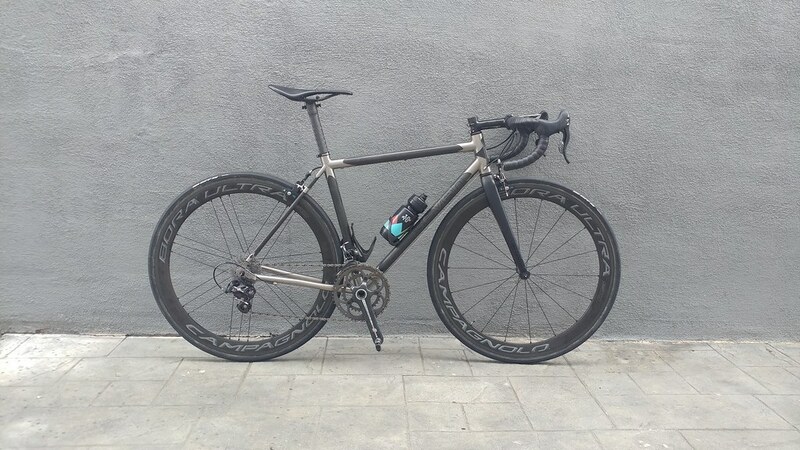 Not mine, no affiliation, etc., etc., but the details on this Cyfac Titanium/Carbon frame look really nice. Last edited by cadence90; 04-22-2018 at 10:25 PM. That does look quite unique. It'd probably fit too, but I'm at the 1 in 1 out stage minimum. The master was on another level. HIs composition instincts are out of this world. Last edited by colker; 04-23-2018 at 11:03 AM. One-off mixed-material Cyfac...really unique, I think. And it performs superbly, I bet. Unreal. I bet one could have a 1000 other photographers stand in that spot, knowing nothing, and not one of them could have that image result. I have no idea how he did it, and so often. Wizardry? 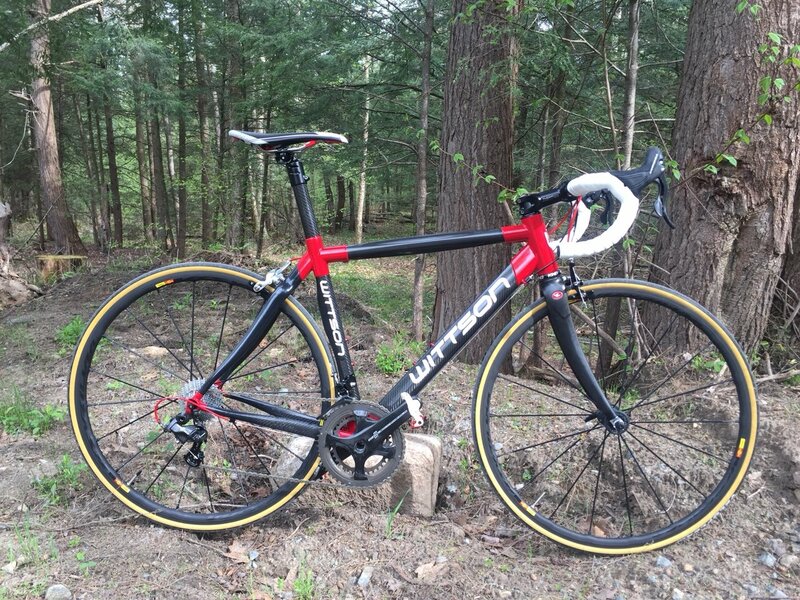 Going to swap out the wheels for neutron ultras and non tan wall veloflex corsas. Thanks Matt. 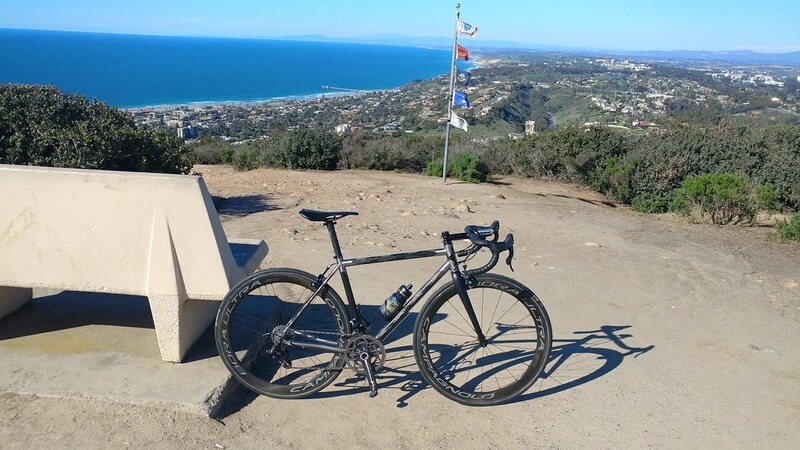 I have to find a black campy brake with a longer bolt for the rear and set the front derailleur up differently, but it is an amazingly smooth ride and still very responsive to input. My Quiring, Ti/Carbon and Ottrott. Last edited by dave thompson; 08-03-2018 at 12:32 AM. Very nice! Doesn’t really get any better looking than an ottrott! I made some changes this week to my Ottrott. Finally admitted I’m too old for the 53/39 crankset so I put a 50/34 in its place. Also swapped out the pictured wheels for a new set of Fulcrum Racing Zeros. One of the nicest cabon-ti frames around imho!